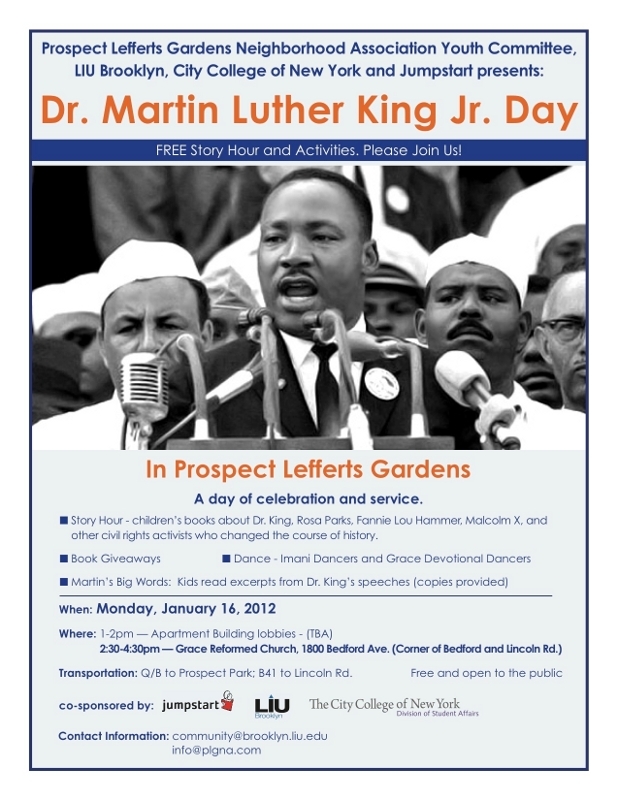 PLGNA, Long Island University Brooklyn, City College of New York, and Jumpstart are presenting a program to celebrate Dr. Martin Luther King, Jr. Day in PLG. 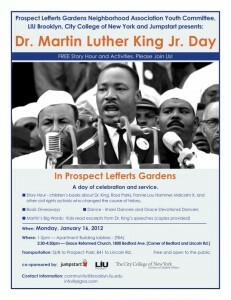 The program features a free Story Hour and other activities, such as Book Giveaways, performances by the Imani! Dancers and the Grace Devotional Dancers, and Martin’s Big Words&mdashKids reading excerpts from Dr. King’s speaches. The event takes place on Monday January 16th at Grace Reformed Church, located at 1800 Bedford Avenue at the corner of Lincoln Road. It runs from 2:30pm to 4:30pm.